While Shikatani Lacroix has successfully transformed many major brands in its 25-year history, few projects have allowed us to be part of the complete reimagining of a brand. 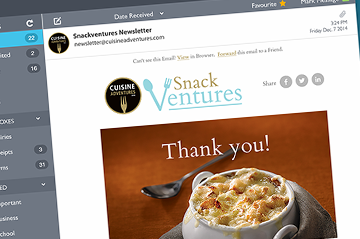 We partnered with M&M Meat Shops to redesign consumer touchpoints ranging from the retail environment, to the product packaging, to its website, and its name. How to ensure the brand remains relevant was the key question for Search Light Capital which acquired M&M Meat Shops in 2014. 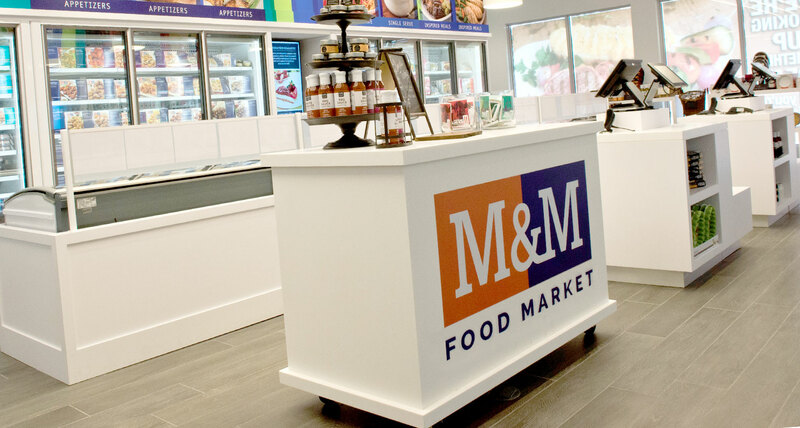 M&M Meat Shops pioneered providing high quality, nutritious meal solutions to Canadians, sourcing and delivering premium products at great prices and offering a convenient and personalized shopping experience with the help of expert in-store meal advisors. 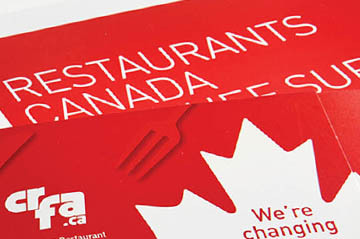 The company was founded over 35 years ago and has since grown to become a leading Canadian retailer of frozen foods, helping families put delicious meals on their tables from coast to coast. After the ownership change, the organization realized it was no longer meeting the needs of emerging customer segments. 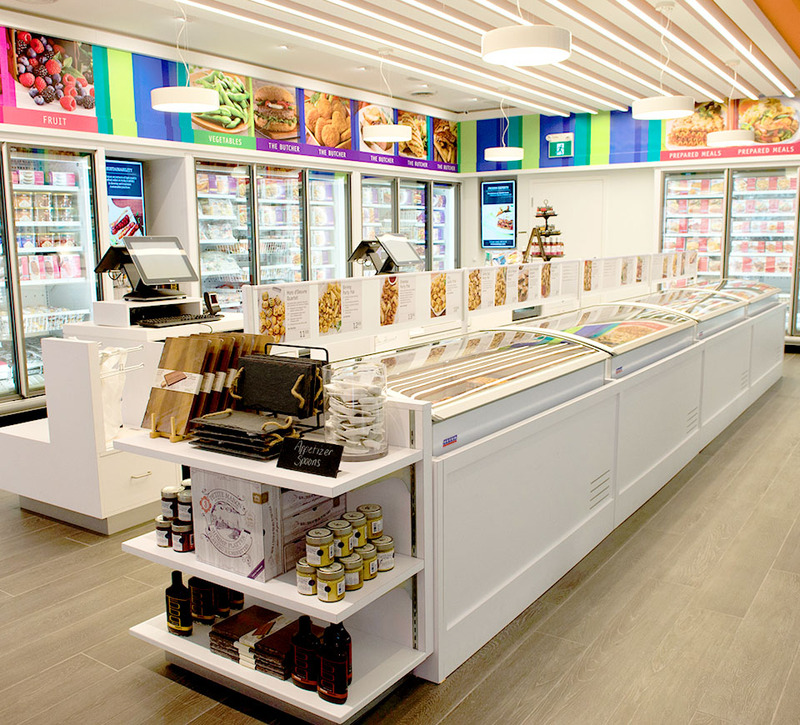 To continue to remain relevant in the marketplace and attract a new generation of customers, M&M approached Shikatani Lacroix to develop a modernized retail environment that improves the customer experience. 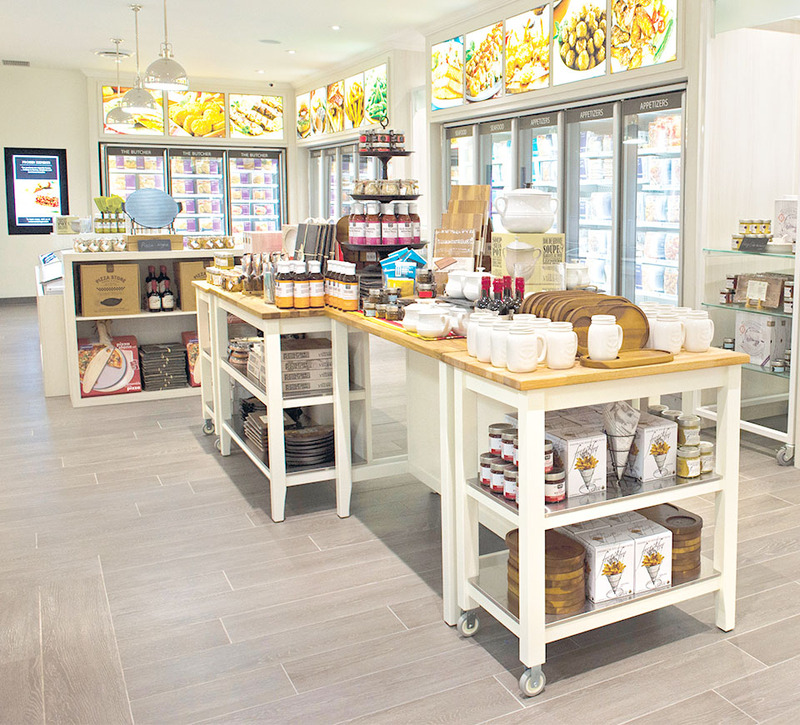 M&M Meat Shops had seen a decline in traffic in recent years and was struggling to remain relevant in an increasingly competitive retail environment. 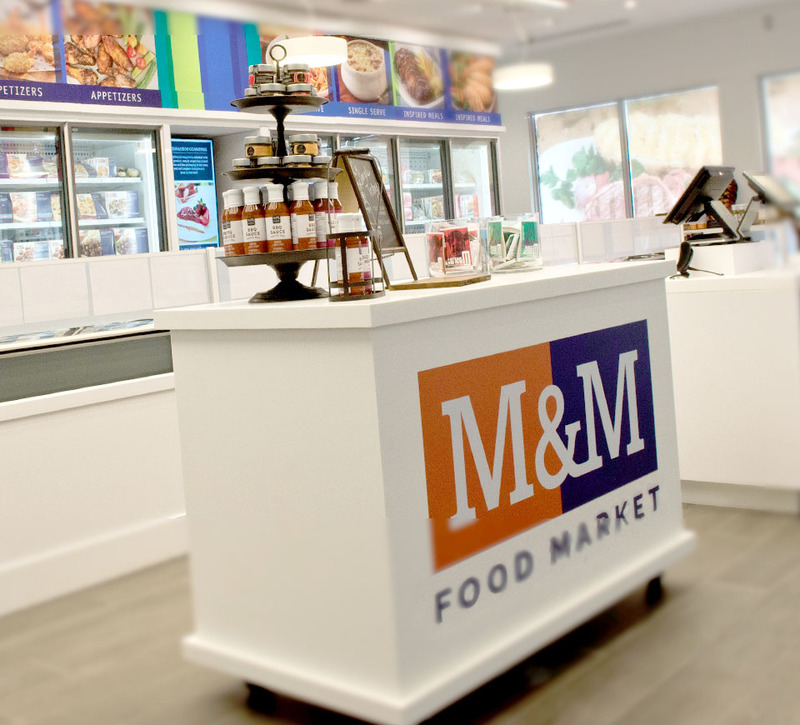 As part of rejuvenating the brand, M&M wanted to update a number of key consumer touchpoints including: modernizing its retail locations, updating its packaging, changing its name, and improving its online experience to appeal to a new group of consumers, while at the same time being sure not to alienate its existing customer base. 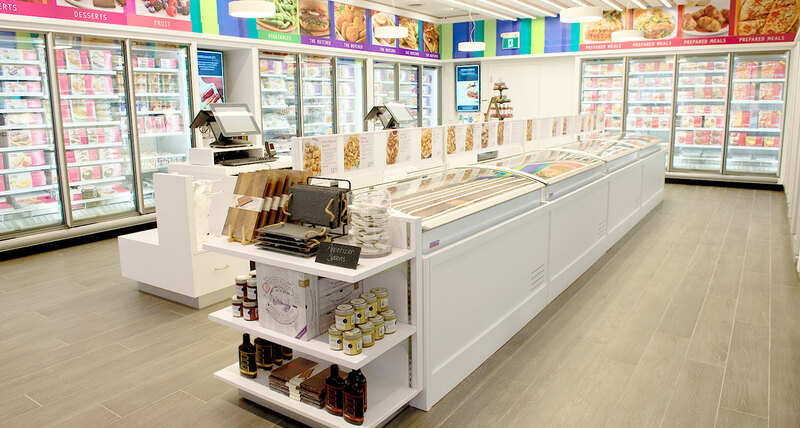 In addition to enticing new and existing customers, the retail transformation had to meet the needs of multiple stakeholders including the company’s franchise partners. Shikatani Lacroix identified several pain points with M&M’s existing path to purchase and shopper marketing strategy. As its packaging was traditionally all white with blue type, M&M relied heavily on its flyer to sell its products. 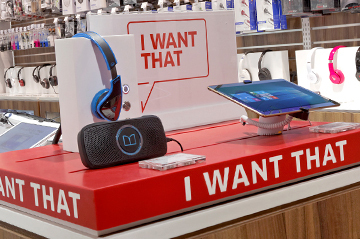 In store, customers had to make their selections from a crowded menu board or cumbersome binder and the counter became a barrier between the customers and the products. 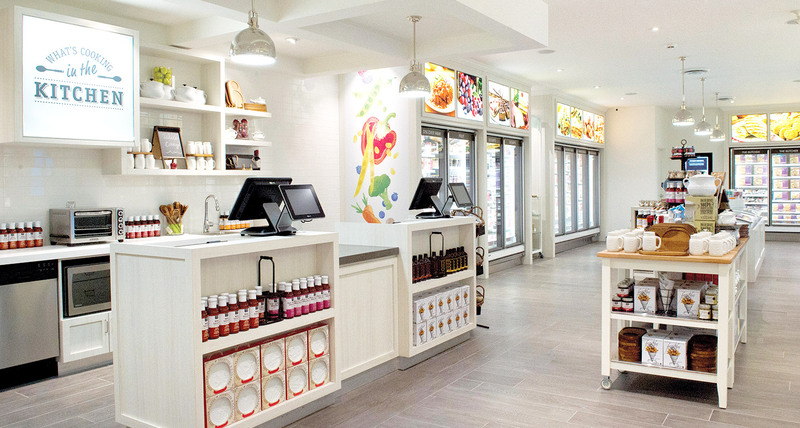 To improve the shopping experience, we created a retail design that moved away from the employee-centred order taking model to a new self-education method of retailing for customers, supported by expert meal advisors in-store. Smartly dressed in simple and contemporary black uniforms with blue M&M branded aprons, staff can now better engage with and support customers while they shop, showcasing products, new features, recipe ideas and seasonal campaigns. 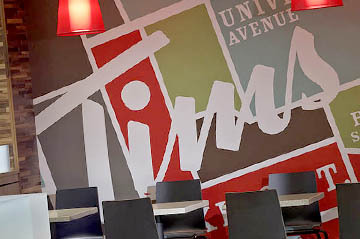 Two retail concepts were developed and tested – Kitchen and Timely. Open to the public for four months, both concepts performed very well. 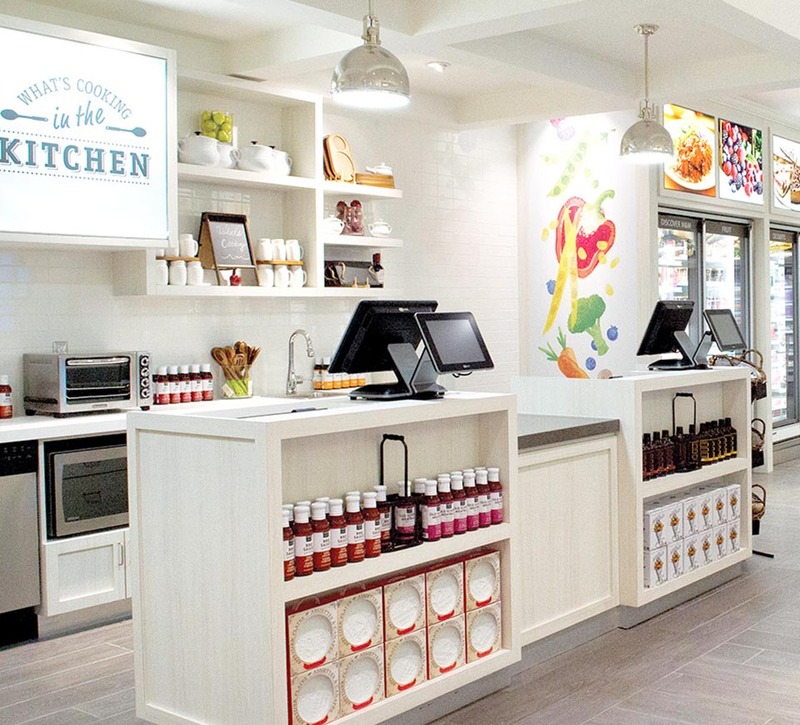 The final retail concept for M&M Food Market was the Kitchen concept with some key elements of Timely, which is now being rolled out across Canada. 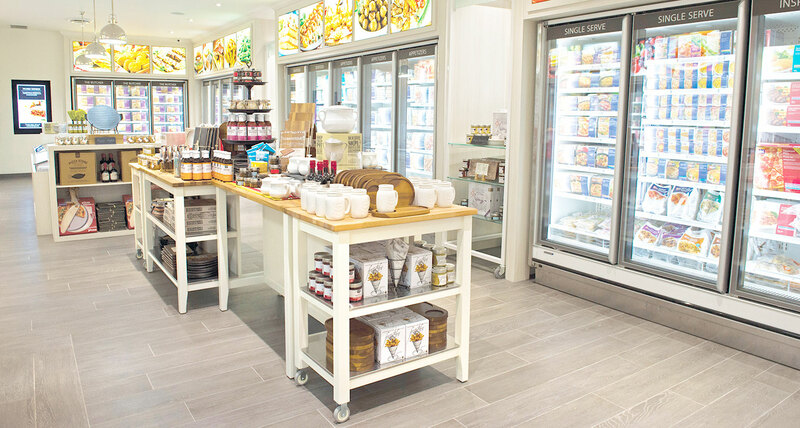 The counters have been removed so customers no longer have to wait in line to be served and can walk freely around the retail space. The addition of shopping carts complements this new self-serve option. 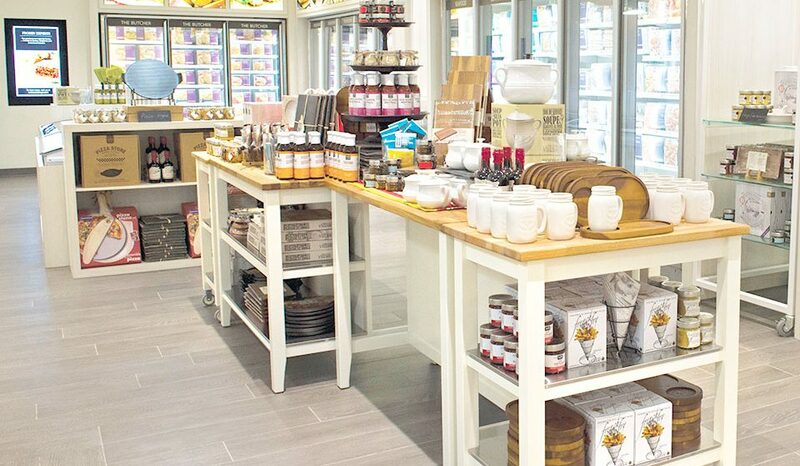 Visually appealing merchandising displays were added at the front of the store, offering kitchen accessories, culinary supplies and other gift ideas like sauces, spices and preserves for purchase. In addition to the entirely new store design, Shikatani Lacroix also led the redesign of M&M’s full line of packaging. 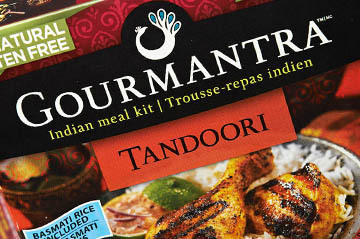 Sprucing up the all-white packaging, the new designs are colour-coded to segment by food category. 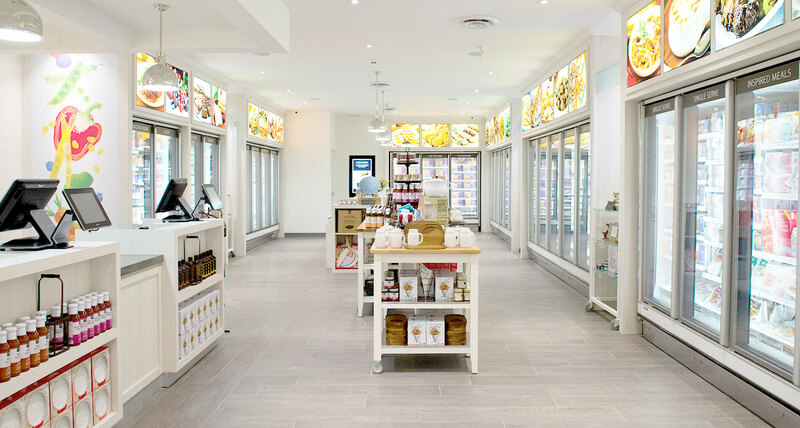 Complementing the overall store design, the new packaging includes beautiful, full-colour imagery to increase appetite appeal and help customers navigate the 400-plus SKUs. 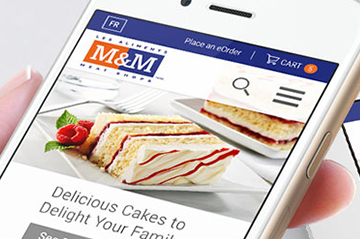 Finally, Shikatani Lacroix used its digital expertise to revamp M&M’s website so that it effectively communicates its high-quality reputation and aligns with the look and feel of the new retail and packaging designs. 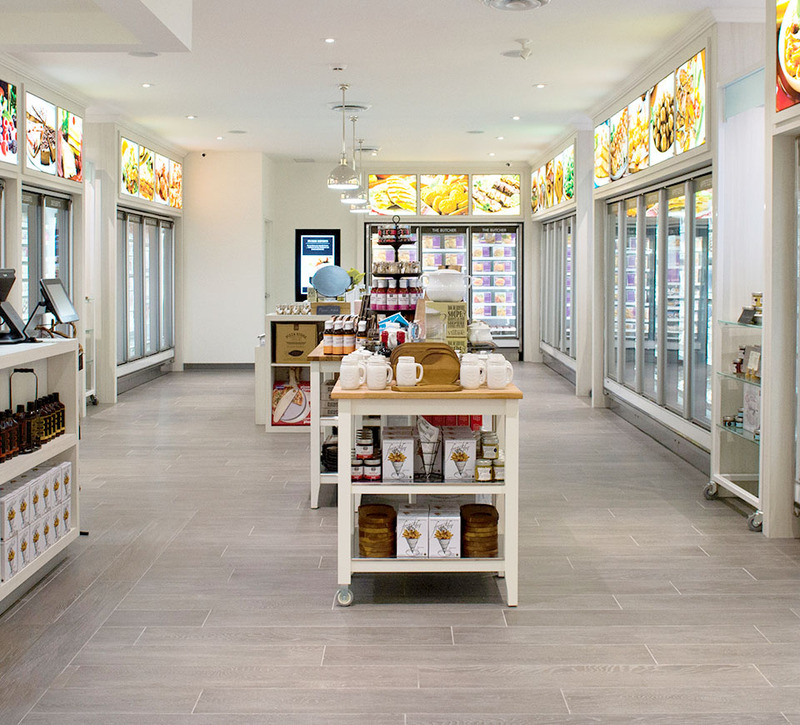 Shikatani Lacroix ensured all aspects of the design work tied together and supported the brand’s vision of making its customers’ retail shopping experience more comfortable and convenient.